This post is about Hispanic vegetables. I am not going to translate these into Spanish as there is really no need. If they are not readily understood you will learn them the second you get to Mexico or Latin America. Maybe in another lesson I will have drills on these veggies. Here is a little lesson on vegetable words in Spanish if you are interested. Really all the vegetables that come from the Latin world like Tomatoes, peppers and tomatoes were not in Europe until Columbus. Many European countries consider them their own. However, it is not true, this were Native American and then Hispanic vegetables. The Spanish world is also home of green salad, because it is sunny and easy to grow. La Preferida and Goya are two large Hispanic vegetable companies also Vigos and Kuners. I would love to buy stock in Goya but it is a private company. I have a cooking blog also and today I wrote about Mexican porgies believe it or not. I am into trying to take Spanish food and vegetables and mixing it with other cuisines. I have not gotten any complaints. I think like to try exotic things. Anything from Latin America is considered spicy and exotic in my mind. I do not know if these are really vegetables or simply proteins but Corn is high in the Amino acid Arginine beans have Lysine they balance each other out and make a complete protein. From this you can make almost anything, including pastes or main dishes. Since I’m living in Europe, and the winters are quite cold here we get most of our winter vegetables from Spain. Spain has a longer growing season than where I am and eastern Europe. In the early spring we get Spanish vegetables that are only available in the summer. The problem and is vegetables from Spain are relatively expensive if they are exotic. However the ordinary ones such as tomatoes and potatoes are relatively cheap. The big competitor to Spanish fashion bowls in Europe is a delay. Italian fashion polls have a different taste because of the volcanic soil. The vegetables grown in central Spain around Madrid on the other hand have the more exotic nature. When you’re talking about Hispanic vegetables in America you’re really talking about vegetables from Mexico and Peurto Rico. The problem is I have greater trust in Spanish agriculture than I do in Mexican farming. Not that there’s anything wrong with Mexico, rather a large American food companies get their hands in the corporate farming in Mexico and I question the level of pesticides and chemicals they use in the food. In contrast in Spain I think it’s more natural as the EU has tighter regulations on produce. If anyone has any more information to convey about Hispanic vegetables please let me know, I want to build this post up a little more. 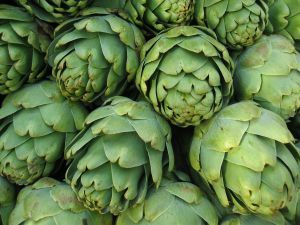 Do you know the amount of Arginine and Lysine that is in an Artichoke. Which is more typically? Arginine is higher in Artichokes at about 9 grams/kg. That is a lot in my opinion, maybe the most of any vegetble. I think Lysine is about 1/2 that at most. Artichokes are good for cleaning the liver and kidneys. I would not worry about amino acid ratio if you eat animal protein. Although Arginine is good for other things as you know.